Living in such a beautiful and remote place, of course I’m concerned about all the people moving to the area and the long-term impact it will have, not just with an increased population, but visually. Montezuma and Santa Teresa are still very beautiful since there are no high-rise structures to destroy the view of coastline, so I’ve been wondering how it might be possible to design a condominium or high rise tower, so that it would be nearly invisible from the water. Would it be possible to create a structure, covered in native plants and vines, that looked just like a small mountain? 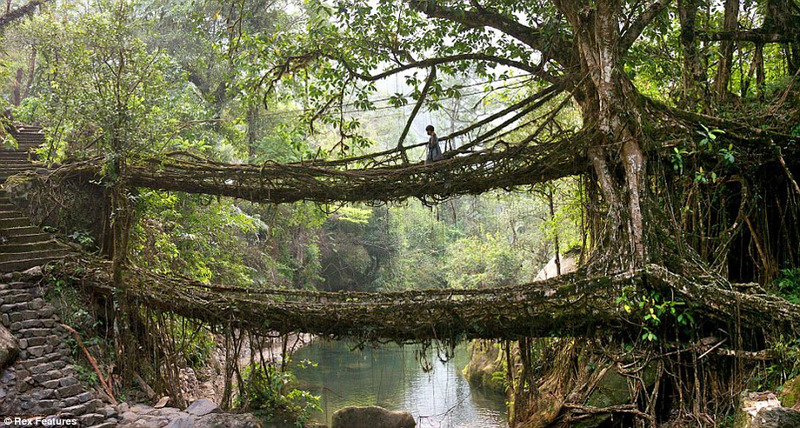 Could it be built in such as way to keep the plant life growing on it from tearing it apart with its roots and causing water leaks and other issues? Not only is it in the shape of a volcano, but it has a water fountain pouring off the top and running down the side. 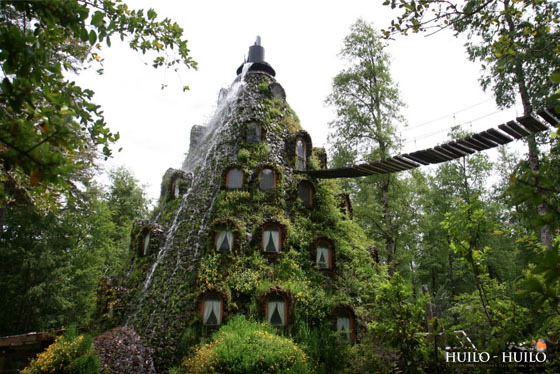 This amazing Huilo Huilo Reserve also includes several other fantastical hotels that are beautifully photographed on the above website. The cost is $250-$400 per night. The crystal caves in Mexico have to be the most beautiful and amazing place on earth. Look at how gigantic some of these crystals are… up to 11 meters (36 feet) long! Made of gypsum, the crytals are also extremely slow-growing and have taken millions of years to form underground in a hot toxic liquid. The caves were pumped out so that explorers could enter them.